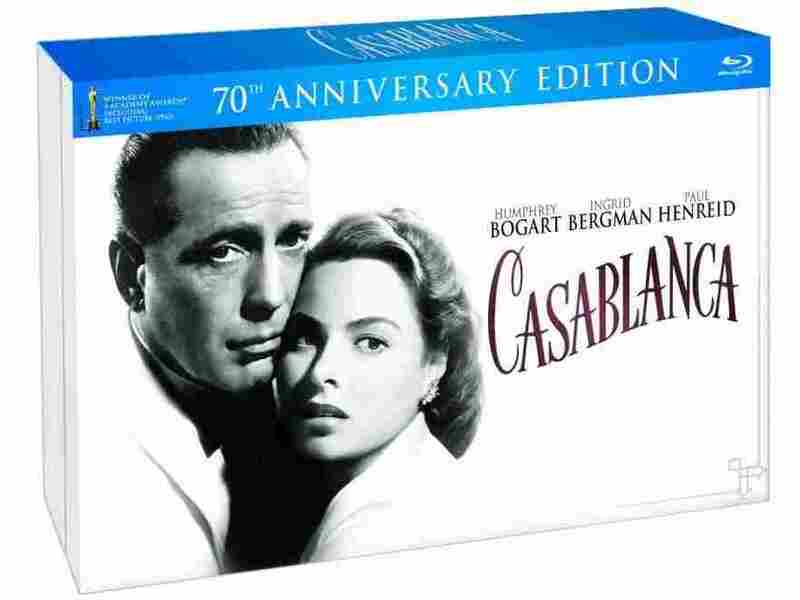 DVD Picks: 70 Years Of 'Casablanca' Film critic Bob Mondello recommends the 70th anniversary Blu-ray release of the movie that made Humphrey Bogart an icon. "Is that cannon fire or is it my heart pounding?" This 70th anniversary edition includes two commentaries (one by Roger Ebert), a whole disk of documentaries, deleted scenes, and even the cartoon "Carrotblanca" starring Bugs Bunny's Bogie and Tweetybird doing a Peter Lorre impersonation. Most of this was included in previous releases. What wasn't is some swag — a set of Casablanca coasters for instance — and a new blu-ray transfer of the film itself, so pristine you can almost see the camera lens reflected when a tear forms in Bergman's eye. Audience tastes have changed in seven decades, but with Casablanca, the fundamental things apply.